For the Persian New Year and the vernal equinox, the first day of spring, I would like to take you to a secret garden with thousands of blossoms and thousands of scents. The passage will be provided by the twelfth-century Persian poet Nezami, who described this enchanting place in his poem Haft Peykar, The Seven Beauties. Nezami (1141-1209), also known as Nizami Ganjavi, lived in the city of Ganja, the area of Azerbaijan that was part of the Persian empire until the 19th century. Like most poets of his day, Nezami had skills in various branches of arts and science. He was a philosopher, a mathematician, an astronomer, a historian, and a botanist, to name only a few fields in which he was skilled, and his marvelous erudition and knowledge of Persian literature and folklore make his works vivid. The Haft Peykar is the story of the Sasanian ruler Bahram-e Gur, who discovered a mysterious palace with seven portraits of seven beauties. He resolved to find them and win them over, and after a series of adventures, Bahram-e Gur does that, installing his beauties in seven splendid palaces, each with its own color and theme. The story doesn’t end with the king and queens living happily ever after, however. The hero has to learn a lesson on justice, fairness and responsibility. The story of each princess is full of sensuous and lush details, scents, tastes, colors, sounds. The seven colors–one of which is sandalwood–represent seven stages of love, human as well as divine. The garden to which Nezami will lead us is from a section called “The Black Dome,” where lives the Indian princess, governed by the planet Saturn. 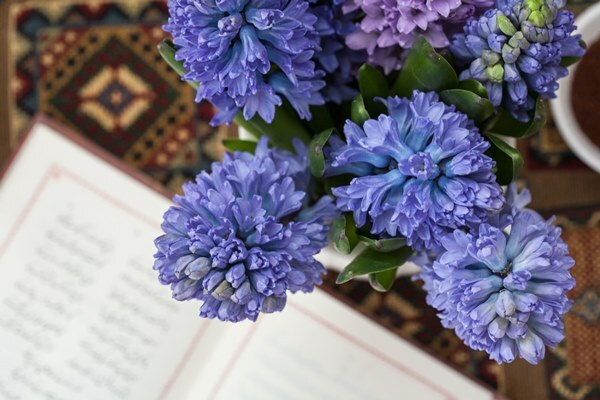 The concept of planets is also important in Nezami’s work, and it’s only fitting that in our universe there exists a small plant called 3770 Nizami in honor of the poet. Should you wish to read the full version of The Haft Peykar, I recommend the English translation by Julia Scott Meysami. Nezami may not be as well known today as Rumi, but his poetry has influenced the world literature and other arts. Goethe was inspired by his images as he wrote his West–östlicher Divan. Giacomo Puccini’s opera Turandot is based on the story that Nezami’s Princess of the Red Pavilion narrates to Bahram-e Gur. Finally, Eric Clapton’s hit “Layla” is named after a character in Nezami’s Layla and Majnun. Centuries after it was written, The Haft Peykar remains a beguiling work that asks big questions about the world–what is the meaning of love, what is justice, and how to stay true to oneself. As you read the excerpt below, savor each line, imaging the place Nezami describes, with its hues and scents that become more layered the further down the garden path you proceed. May your spring be just as resplendent. Like shining jewels strewn in the wanderer’s way. Like silver coins in liquid mercury. Tall, noble poplars, slender cypresses. Censing with fragrance all the garden’s air. That opened like a vista of delight. Contentedly I slept and ate again. 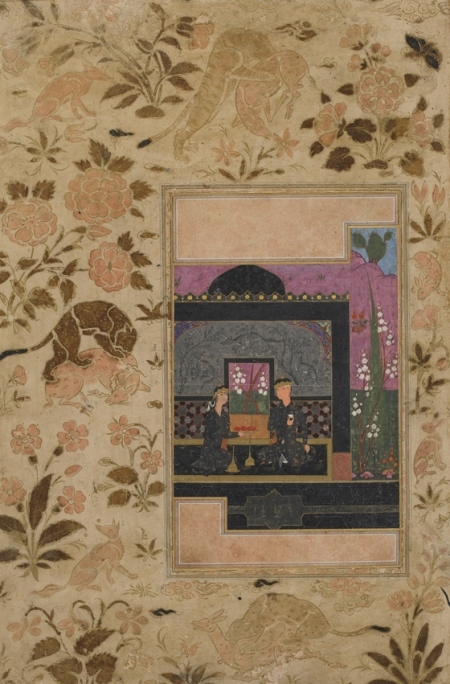 First image by Bois de Jasmin, second–Bahram Gur and the Princess in the Black Pavilion, Persian miniature circa 1590. Emilie: That is very true. I don’t know why people say that because there are many examples of scent being described in literature, and not just in poetry or more florid prose. 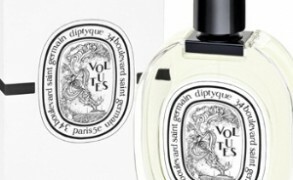 In most written works scent descriptions are woven in to create a sense of atmosphere. Susan: Thank you, Victoria, for sharing this lovely Spring gift with each of us. sandra: Happy Nowruz Happy Spring! Was thinking of the BdJ blog when I prepared my feast..I made your marinated olives and Shirin Plov rice dish..I also made 2 other dishes and a dessert! What a feast! A lot of food..but we had a lot of adults! Managed all of this with 2 littles ones to boot! Did you make any special dishes? Victoria: It sounds like a real feast! You’ve done so much. A charming Persian expression is “my place was empty,” meaning I would have loved to be there, at your table. We had those same marinated olives, fish stuffed with herbs and walnuts, chicken with spinach and sour plums, rice with fava beans and dill, tomatoes stuffed with the same mixture as fish and baked in the oven, a platter of herbs, and a platter of pickled vegetables. I was so full, I didn’t even try the tomatoes yet, but others liked them. For dessert, we had chocolate and kolompeh Kermani, small pastries filled with dates. sandra: Do you have the recipe for your stuffed tomatoes?